From furrier to architecture firm, with a few other incarnations along the way, the building located at 103 East Lincoln Avenue in historic downtown is the perfect spot according to Scott DeMartelaere, President of Design Intent Architects. Scott had been looking for the right office on “main street” in Fergus Falls for some time. He’s done a beautiful job with the building’s façade and continues work in the interior, as well. Design Intent designs both commercial and residential spaces working on everything from school security systems to lake homes; doing both new builds and remodels. DeMartelaere enjoys the challenge and variety of working with both businesses and homeowners to design a beautiful space that meets their needs. He is licensed in both Minnesota and North Dakota. You can find Design Intent on Facebook at www.facebook.com/pages/Design-Intent-Architects. You can contact Scott via email at scottd@di-arch.com or via phone at 218-736-4733. Pictured from left to right (back row): Chris Jacobson (Pinnacle Pro Floor Care), Lisa Workman (Fergus Falls Chamber), Craig Mullen (Mullen Insurance Agency), Scott DeMartelaere (Design Intent Architects), Andrea Zetah (LB Homes), Sandy Bucholz-Krebs (CableOne) and Michelle Vogl (Wells Fargo). 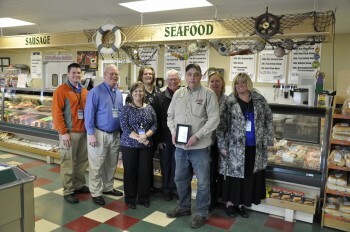 Have you ever wondered what the best-selling brat flavor is at Premier Meats and Seafood? Of their 25 varieties, owners Brian Oliphant and John Anderson say that the Pineapple Brat is their number one seller. In addition to all those brat flavors, the cases are filled with a variety of beef, seafood, pork, chicken, turkey and even vegetarian selections. Their meats are not infused with unnatural additives, antibiotics, or growth hormones. They are making and smoking their own sausages and are continuously developing new ways of using their products. They are baking fresh buns, have local grass-fed beef in the freezer, are anticipating the arrival of Copper River salmon and can special order just about anything you can imagine. Boars Head premium lunchmeats and cheese are available and sliced to order as well as a number of other Boars Head products. There are lots of items in the frozen cases, as well as condiments, an olive bar, sandwiches made to order and a selection of produce, deli salads, breads and dairy products to round out your menu. Don’t forget to ask for a complimentary roasting chart to make sure your selection is prepared perfectly. Premier Meats and Seafood is located at 306 N Tower Road in Fergus Falls. Their phone number is 218-998-3373. 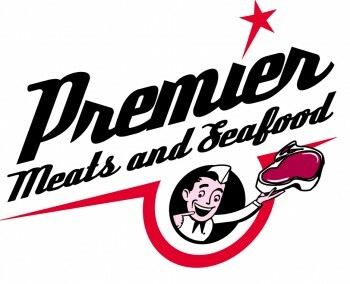 You can find them online at www.premiermeatsandseafood.com or follow them on Facebook. 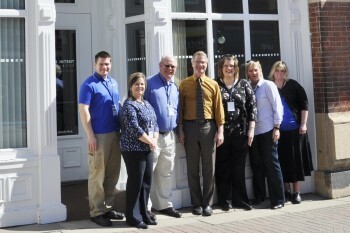 Pictured from left to right (back row): Chris Jacobson (Pinnacle Pro Floor Care), Craig Mullen (Mullen Insurance Agency), Lisa Workman (Fergus Falls Chamber), Andrea Zetah (LB Homes), John Anderson and Brian Oliphant (Premier Meats and Seafood), Sandy Bucholz-Krebs (CableOne) and Michelle Vogl (Wells Fargo). 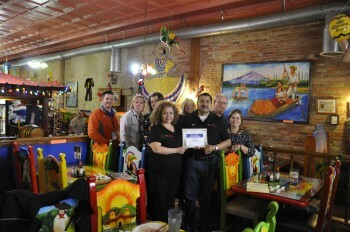 Don Pablos Family Mexican Restaurant recently celebrated their tenth anniversary and members of the Chamber’s Amabassador Team were lucky enough to be treated to some of their fair during a lunch-time visit. Over the years, owners Teresa and Jose Rodriguez have developed new recipes based on their heritage, but Teresa tells us that many of their dishes come from Jose’s family’s recipes. Teresa grew up in Fergus Falls, her parents were migrant workers in the area and also worked in Texas. During the early part of his career, Jose worked in Mexican restaurants throughout North and South Dakota. It was always Teresa’s dream to open a restaurant of their own and Jose’s experience (and family recipes) made that possible for them a little over ten years ago. One of the best parts of owning their own business says Teresa, “is helping employees move up” in their careers. When asked about their best-selling item, Teresa noted that Fajitas and Enchiladas are their biggest sellers, but when she talks about the Molcajete Especial for Two, she beams with pride as she talks about this “special” dish. Of course, we had to give it a try. Stop by Don Pablos at 108 East Lincoln Avenue for lunch or dinner, they are open Mon-Thu 11am to 10pm, Fri-Sat 11am to 11pm and Sun 11am to 9pm. You can reach them by phone at 218-998-6394. You can also find them on Facebook at www.facebook.com/donpablosfergusfalls. Pictured from left to right (back row): Chris Jacobson (Pinnacle Pro Floor Care), Sandy Bucholz-Krebs (CableOne), Andrea Zetah (LB Homes), Michelle Vogl (Wells Fargo) and Craig Mullen (Mullen Insurance Agency), and Lisa Workman (Fergus Falls Chamber). Front row: Teresa and Jose Rodriguez (Don Pablos). Captain Clean, or as he’s otherwise known, Mike Erlandson started his “new” business back in 1971. Today, he and his staff specialize in air duct cleaning in both commercial/industrial (40%) and residential (60%) applications. From your home to local casinos to major manufacturers throughout the region, Mike and his staff clean anything from sheetrock dust to home allergens. Their new trailer comes to your location leaving it clean and sanitized as well as treated to prevent mold, dust mites and fungus. Your home or business will really be spring cleaned after a visit from Captain Clean. 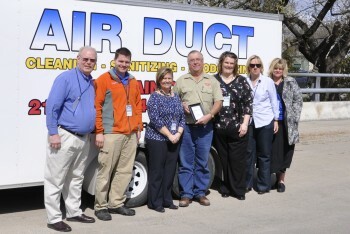 A member of the National Association of Duct Cleaners, Mike and his team service a 100 mile radius. To reach them, call (218) 739-1124. Pictured from left to right: Craig Mullen (Mullen Insurance Agency), Chris Jacobson (Pinnacle Pro Floor Care), Lisa Workman (Fergus Falls Chamber), Mike Erlandson (Captain Clean), Andrea Zetah (LB Homes), Sandy Bucholz-Krebs (CableOne) and Michelle Vogl (Wells Fargo).